Wisconsin gets approval for Medicaid work requirements. On Halloween, Wisconsin received approval for their section 1115 waiver to institute Medicaid work requirements. Under the new requirements, childless adults aged 19 through 49 will be required to participate in 80 hours of work or community engagement per month. Qualifying activities include employment, job training, and community service. Exceptions to the rule apply, including those who are disabled or pregnant. Folks subject to the new requirement but who have not met the requirements for 48 aggregate months will be disenrolled from Medicaid for six months. Childless adults will also now be charged an $8 co-pay for using an emergency room for non-emergencies. Childless adults with incomes from 50% up to 100% of the FPL will also now have a small premium as a condition of eligibility for Medicaid. Pennsylvania governor vetoes bill aimed at Medicaid work requirements. 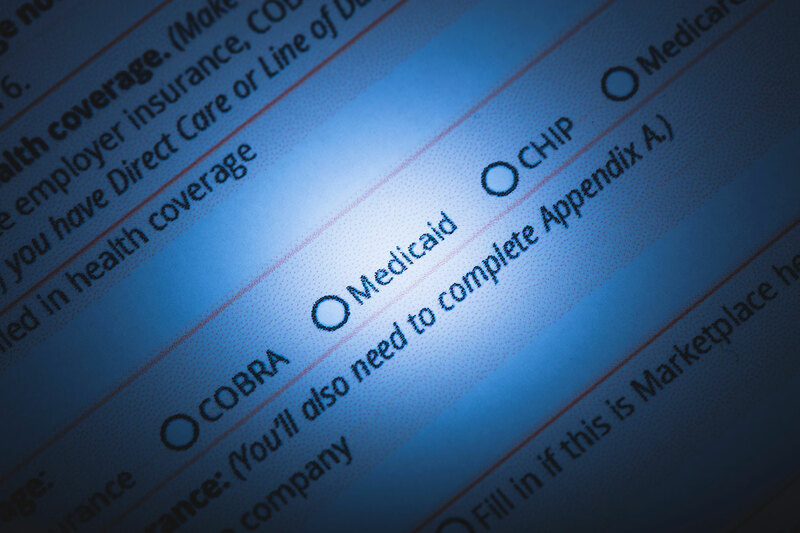 A bill aimed at creating Medicaid work requirements for able-bodied Medicaid recipients passed through both houses of the Pennsylvania legislature to land on Governor Wolf’s desk in mid-October. “This legislation does not promote health coverage, access, and treatment,” Wolf said. Wolf vetoed the bill and was re-elected to the office on November 6th. Trump has approved Kentucky’s request for Medicaid work requirements (again). On November 20, 2018, Trump once again approved Kentucky’s request for Medicaid work requirements. The first approval was in January 2018, but in June a federal judge struck down the mandate. Officials in Kentucky re-drafted their application and it was subsequently approved once again. Under the new Kentucky rules, Medicaid recipients will have to devote at least 80 hours per month to work, looking for work, or doing volunteer work. Those who don’t will lose Medicaid coverage for six months. Protecting Married Seniors from Impoverishment Act introduced. A bill was introduced last week in the House of Representatives to permanently extend financial protections to married seniors who apply for Medicaid Home and Community-Based Services (HCBS). These spousal impoverishment protections are automatically applied to individuals in nursing homes, but the availability for these protections in HCBS applications is set to expire December 31, 2018. The protections allow a spouse to keep a certain amount of financial resources even though the other spouse needs care through Medicaid services. “Our long-term care system is broken. Seniors and their families already face too many challenges when navigating long-term care, and they should not have to get divorced or go broke just to be eligible for the care they need. Our bipartisan bill permanently extends spousal impoverishment protections to seniors no matter if they are receiving care in home, in the community, or in a nursing home facility,” said Representative Debbie Dingell of Michigan. Both she and Fred Upton of Michigan introduced the bill. Montana’s Medicaid expansion is set to expire. On the ballot in November was an initiative to raise taxes on tobacco to pay for Medicaid expansion. The measure did not pass. With funding for Montana’s Medicaid expansion due to expire in June 2019, legislators are scrambling to come up with a new solution. If Montanans are not able to come up with the funds, they will be the first state to undo a Medicaid expansion under the Affordable Care Act. Payment Integrity Information Act introduced. Last fiscal year, $141 billion in improper federal payments were made, either through underpayment, overpayment, duplicate payments, or payments made to ineligible recipients. That’s $51.9 billion through Medicare, $16.2 billion through the Earned Income Tax Credit, and $36.7 billion through Medicaid. How is the government trying to correct this problem? Last week, the Payment Integrity Information Act was introduced into the Senate. It would require federal agencies to publish any improper large payments (larger than $10 million) with their annual financial statement. Federal agencies will have to evaluate their improper payments at least every three years. And a committee will be formed to combat the problem. Inadmissibility on Public Charge Grounds proposed by the Homeland Security Department. In October, the Homeland Security Department proposed the inadmissibility on Public Charge Grounds rule. Under the new rule, immigrant seniors will be inadmissible to the United States if he or she is likely to become a public charge at any time. Any aliens seeking to stay in the United States will have to demonstrate that they have not received or are likely to receive any public benefits, such as Medicaid, over certain monetary or duration thresholds. The public comment period expires on December 10, 2018. While federal law has always required aliens seeking a green card to demonstrate that they will not be a financial burden to the government, this new rule will contemplate the use of public benefits when deciding whether or not someone is a financial burden. The new rule will require that immigration caseworkers look at any use of public benefits by the alien. Any such use will be “heavily weighed negative factors” for any who are attempting to remain legally in the country. It is surmised that alien seniors who use or have used Medicaid will be denied a green card. We'll be discussing these items and more industry news during our monthly member exclusive Final Friday Update webinar taking place this Friday, November 30!